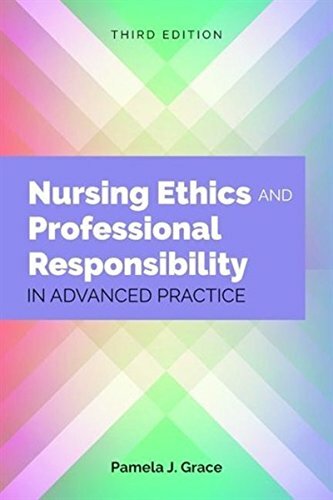 1284107337 -Nursing Ethics and Professional Responsibility in Advanced Practice, Third Edition focuses on the historical background, knowledge and leadership skills necessary to improve the quality of health for both individuals and society. The text takes a comprehensive approach in addressing contemporary health issues faced by healthcare professionals across a variety of settings. The Third Edition has been updated to reflect changes in the healthcare landscape and to explore how this impacts and expands the role of the advance practice nurse.